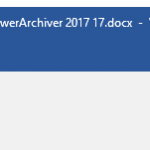 PowerArchiver for Office Add-in is offered as a free add-on to PowerArchiver Professional and Toolbox. It is distributed under same license and evaluation period as PowerArchiver Professional. PowerArchiver for Office Add-Ins 3.0 works with Microsoft Outlook, Word and Excel in versions: XP, 2003, 2007, 2010, 2013, 2016, 2019 and Office 365 (support for both 32-bit and 64-bit versions). Powerful 256-bit encryption support with AES 256-bit ZIP/ZIPX/PA formats. FIPS 140-2 validated. Superb compatibility with all versions of Office, from Office XP to Office 2019 amd Office 365 (both 32bit and 64bit). No crashing or Microsoft Outlook hanging. Supports both 32bit and 64bit versions of Microsoft Office, via unified single installer. Since version 3.0, we have added support for Microsoft Word and Microsoft Excel. Once installed, a PowerArchiver will appear in your Office programs and will show the following features: Save As ZIP, Save as a Secure ZIP, Send as ZIP and Send as a Secure ZIP. 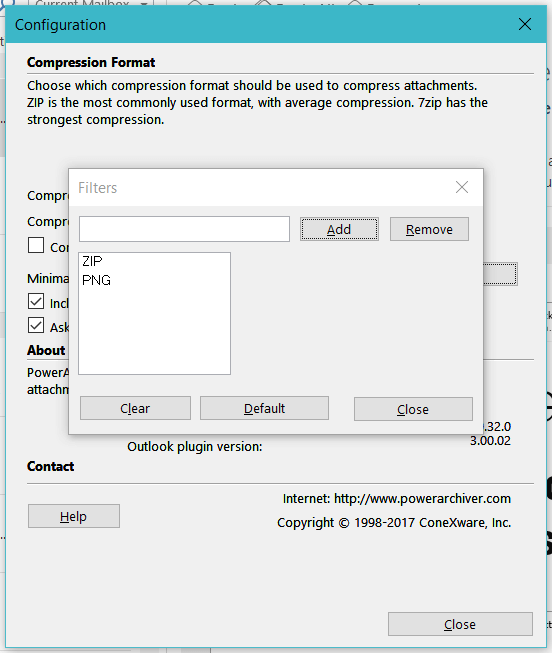 ZIP, ZIPX, PA and 7-zip compression is supported. Encryption is Secure AES 256-bit with FIPS 140-2 validation in ZIP, ZIPX and PA formats(when so configured in PowerArchiver). It enables user to quickly save/encrypt/email their document with one click of a button. PowerArchiver Office Add-in is offered as a free add-on for PowerArchiver Professional and Toolbox. It is distributed under same license and evaluation period as PowerArchiver Professional and Toolbox. PowerArchiver Office Add-in is completely free for registered PowerArchiver Professional and Toolbox users. Every version of PAOP is Section 508 Compliant. Please click here to download VPAT PDF.